A Phase II clinical trial is currently being reviewed with plans to enroll patients in the first quarter of 2019. This clinical trial will be combining Pembrolizumab (Keytruda) with the AE37 Peptide Vaccine in patients with Metastatic Triple Negative Breast Cancer (TNBC), said Generex in a press release. AE37 is an investigational therapeutic cancer vaccine being developed to treat cancer in women with certain types of breast cancer. It is a combination of portions of 2 proteins that together stimulate the immune system to fight cancer cells. AE37 consists of a protein derived from the HER2 protein combined with a portion of the MHC class II-associated invariant chain which has been termed Ii-Key. AE37 does not directly target HER2 but instead acts as a vaccine to activate the immune system to recognize the HER2 protein that is expressed on cancer cells as foreign. AE37 ensures activation of CD4-positive lymphocytes, immune cells that are important in stimulating both the antibody response (antibodies against HER2) and cellular responses directed against the HER2 protein in breast cancer cells. The Ii-Key peptide is coupled with the HER2 protein to ensure a more robust and long-lasting response. Up to 80 percent of breast cancers express some level of a protein called HER2, says Cancer.org. While treatments exist to target HER2 in breast cancer patients with the highest level of HER2 expression (roughly 25%), the majority of patients who have lower levels of expression have more limited treatment options. Is Mandating Cancer Prevention Vaccination Now Ethical? 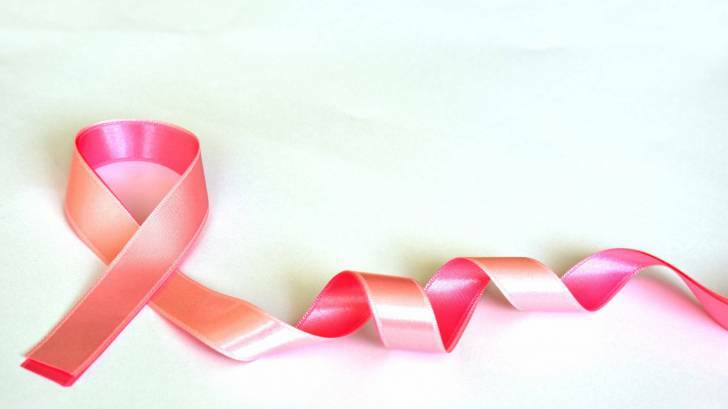 Breast cancer is the most common type of cancer found in women. About 10-20% of breast cancers are found to be triple-negative, says BreastCancer.org. When a pathology report say that the breast cancer cells tested negative for estrogen receptors (ER-), progesterone receptors (PR-), and HER2 (HER2-), it means the cancer is triple-negative. These negative results mean that the growth of the cancer is not supported by the hormones estrogen and progesterone, nor by the presence of too many HER2 receptors. Therefore, triple-negative breast cancer does not respond to hormonal therapy, such as tamoxifen or therapies that target HER2 receptors, such as Herceptin. However, other therapies are used to treat triple-negative breast cancer. This clinical trial is sponsored by Generex, wholly-owned subsidiary Antigen Express, Inc. and conducted in conjunction with research partners Merck and the NSABP Foundation, Inc. (NSABP), is scheduled to initiate sites in the 4th quarter 2018 and to begin enrolling patients in the first quarter of 2019.